Final Fantasy 6, or known as 3 in North America, is one of the greatest RPGs of all time. It certainly ranks high on the nostalgia factor, and many iconic moments in Final Fantasy history are portrayed in this game. An unforgettable cast of characters, top-notch graphics for the time, a stunning soundtrack and an intriguing storyline keep the player hooked till the very end. How does it hold up from a Christian perspective? Very well, actually. Though there are some moments that are questionable, mainly that one of the final bosses is based on the Virgin Mary, the plot throughout the game more than makes up for it. Unlike FF9, which views souls as recyclable and life as meaningless, FF6 seems to incorporate more of the biblical worldview, or at least, not anti-biblical. Many of the characters face losses but deal with them in ways that are more consistent with Scripture—Locke feels remorse over the death of his first love, Rachel, believing he couldn't protect her. He resolves his guilt at the end and decides to move onto his new love. Cyan loses his wife and child and is nearly destroyed, but receives his courage back, believing he must move on and leave the past in the past. He later becomes a powerful asset to the party, although the Dreamscape sequence in the World of Ruin with Cyan is somewhat creepy. Celes tries to commit suicide after the loss of her only family member, but regains her courage and gathers the party back together. Though the reason why she should not commit suicide is not addressed, the fact that she is able to recover, move on, and reunite the party shows why we should not. The star of the show, though, I feel is Terra. Terra is, in many ways, quite similar to Christ. First of all, her Japanese name, Tina, is actually a shortening of Christina, a feminine form of Christ's name. She is also half human and half esper, and bridges the gap between them, much like Jesus bridges the gap between God and man. Terra also desires to learn what love is, and finds it not in a carnal way, but in protecting the children in Mobliz. 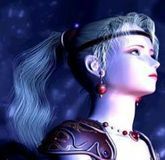 Terra is also unjustly accused and persecuted during the course of the game. At the end, Terra even offers to sacrifice herelf for the party, but remains on earth as a human, in a somewhat interesting parallel to Christ's resurrection. 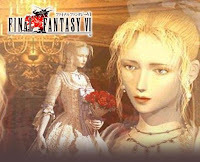 Those who begrudge Final Fantasy females such as Aeris and Rinoa should look to Terra and Celes. Both women are strong female protagonists that overcome personal and exterior difficulties to emerge as leaders, Terra in the first half and Celes in the second. Both are amazing women that complement each other and even form a friendship. Kefka is also an interesting counterpart to Satan. Saying he wants to destroy all and create a monument to nonexistence is exactly what Satan wishes to do—in Jesus's words 'the thief comes but to steal, kill and destroy.' What words better sum up Kefka Palazzo? The first scene of him shows him 'destroying' Terra's innocence and ordering her to 'kill kill kill!' The second scene has Kefka 'stealing' General Leo's authority over the Doman mission, killing many with poision, and 'destroying' Cyan's life. His horrors do not end here, as in the interlude on the Floating Continent, Kefka commands the warring triad to strike down Emperor Gestahl so Kefka can rule- an allegory to Satan trying to usurp God. Kefka is later known as destruction and seems to be completely evil with no redeeming qualities, unlike villians such as Golbez or Sephiroth, who at least showed remorse or motive. The end of the game shows the cast finding joy in spite of the fact the world is nearly dead. Terra has found love. Locke and Celes have found each other. Cyan carries his family inside of him. Gau has his friends. Sabin and Edgar have each other. Setzer has his dream After threatening to destroy all their dreams and hopes, Terra counters that life continues and that it's not the end result of life that matters, but the day to day joys of life and love. Is FF6 perfect? No. But in comparison to the poison of FF7's recyclable souls and FF9's 'our memories live on', it's a breath of fresh air. Highly recommended.